Gran Turismo fans patiently waiting for the launch of the new Gran Turismo Sport might be pleased to know that the official Gran Turismo Sport Closed Beta will start in a weeks time on March 17th for players in the United States. The closed beta development stage will provide drivers with a rotating selection of cars and tracks each day as well as the chance to check out the new Driver Profile system in action. Check out the teaser trailer below for the closed beta which starts later this month. Hello, GT fans! We’re extremely excited at Polyphony to announce the Gran Turismo Sport Closed Beta. Beta participants will get a sneak peek at how Gran Turismo will pave the future of racing, competing in highly competitive races against other users across the country, and eventually, across the globe. Participants will be able to choose from a select rotation of cars and tracks each day to race online against others during the Beta phases. Track and car selections will vary during this period, and we made sure to offer different race class categories and course configurations to properly test our GT fans! 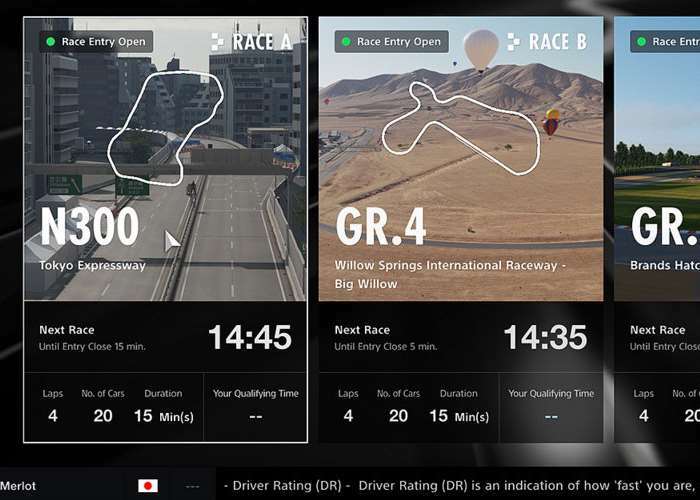 This will also be the first time users will see how the Driver Profile is integrated within GT Sport. The introduction of Sportsmanship Rating (tracks a player’s behavior and manners on-track) and Driver Rating (represents the overall speed of the player and how well they perform in races) will ensure those that race online will be equally matched, naturally creating a balanced group of competitive drivers for every race. The initial phase of the closed Beta, starting on March 17, will only be open to selected U.S. PSN IDs, so be sure to check your Messages on the PS4 dashboard to see if you’ve been invited.